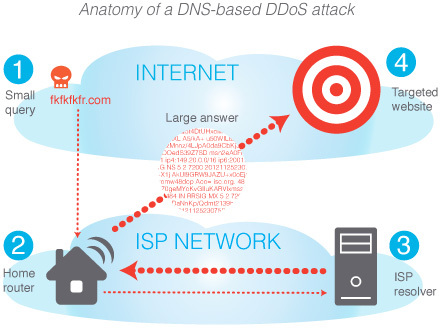 24 Million Home Routers Expose ISPs to Massive DNS-Based DDoS amplification attacks. Researchers from nominum identified a massive set of of DNS-based DDoS amplification attacks have significantly increased in the recent months, targeting vulnerable home routers globally. Home routers are the easiest vector of attack because most users are unaware of the security implications. The router firmware are never updated which leaves it in the open to all kinds of attacks. Hackers use this as their target and find ways to infiltrate the vulnerable routers.